You can record without worrying about the setting details by using the Intelligent Auto mode. The icon on LCD display is switched to still image mode. Set the focus on the subject. When focused, the focus icon lights up in green. PHOTO lights up when a still image is being captured. Image stabilization only starts when the button is pressed halfway. 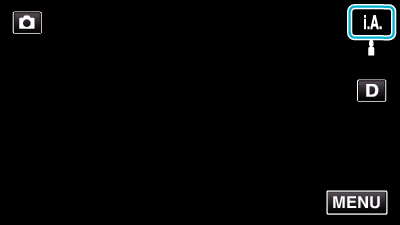 Displays the icon of the image size. The size of still images can be changed. Displays the icon of the media where still images are recorded to. 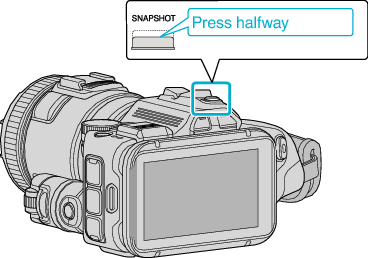 Displays the remaining number of shots for still image recording. “PHOTO” appears when a still image is being captured. Lights up in green when focused. 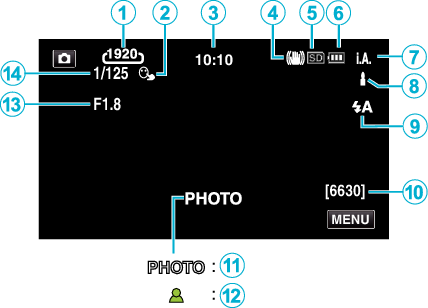 Displays the various menus of still image recording.